Developing an app takes a lot of time, energy, and money. When it comes time to launch it, you need to treat it with the respect it deserves. Simply throwing an app up on the Play Store and iTunes won’t cut it. Some older estimates put the number of new apps on just the Google Play store at 1,250 per day, and you can bet it’s even higher now. Forget about standing out from the crowd; it’s a wonder if anyone ever sees you at all. That’s the beauty of the internet, though, right? You’re not limited to just one platform. You can put your app up on the store, and then you can submit your app or its store listing to directories for reviews, for promotion, and for user ranking. No one directory is going to have even a fraction of the traffic of the main three stores (iTunes, Google, and Amazon), but they have a much higher engagement rate. The only question is, where should you submit your app? Here’s a huge list of directories and assorted app-focused sites for your consideration. Note: I make no claims as to the viability of submitting your app to any of these directories. They all have their own means of contact, their own requirements to be reviewed, and their own themes. Some of them may have a fee for submission; it’s up to you to decide if that’s worthwhile. AppAdvice – A site with a series of regularly published lists that collect apps based around certain themes, like apps for beer lovers or apps for movie fans. AppShopper – An app toplist that monitors prices and allows people to mark if they own or want to buy an app, to watch for price drops. Touch Arcade – A gaming-focused site that covers mobile apps as well as games for the Nintendo Switch. Excellent if you have a game to submit. Apptism – An app directory that displays apps by icon with rating, platform, and pricing information for users to browse. App Addict – An app and mobile device blog that reviews apps and various mobile devices and accessories. App Apes – An app review site that allows a wide variety of apps, though they tend to focus mostly on games. AppChatter – An app directory that produces daily app reviews as well as articles on how to use certain advanced apps or use apps for specific tasks. 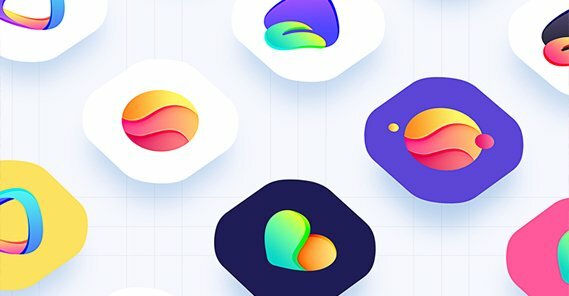 App Saga – A site that focuses on free apps, though it counts apps that are only free temporarily if they’re good enough. iOS specific, as far as I can tell. App Safari – An app directory focusing entirely on iOS apps, covering anything that can go on an apple device, whether it’s the newest iPhone or an old iPod. 101 Best – A constantly-evolving directory of the top 101 apps for Android. Submitting an app allows it to be reviewed and placed on the daily, weekly, monthly, and all time lists. AppModo – A site dedicated to mobile devices and everything about them, from quirks in the YouTube app to toplists for new apps. FeedMyApp – A directory with app reviews and some longer, more in-depth articles about specific apps or about specific tasks and the apps that assist. GetApp – An app search engine that focuses on business-focused apps. Submit yours to the directory to appear as recommendations for your task. 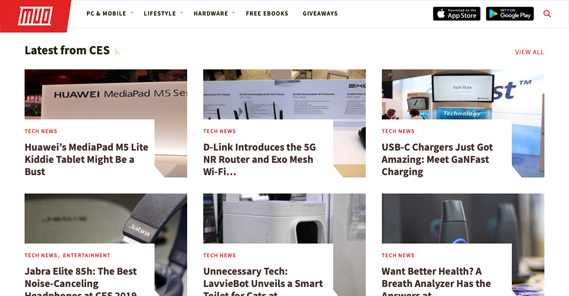 Netted – A site by Webby’s, this general tech and mobile blog has sections dedicated to Android, iOS, and Tablet apps. Phandroid – Another directory with a variety of app reviews, posted fairly regularly. They also maintain several evolving toplists. GameZebo – A multi-platform app directory specializing in games. If you have a game, usually a free game, you can submit it here. Android Guys – A site focused on all things android, from reviews of games to the best choice of cellular providers to reviews of new devices. AppsZoom – An Android-focused app directory. You probably won’t show up on the front page, but you can show up in searches for specific categories. TouchMyApps – A relatively small and somewhat personal app-focused blog, the owner reviews and ranks apps but doesn’t post all that frequently. RazMag – A publication by RazorianFly, this magazine is highly focused on apps that provide a certain aesthetic or experience to the user, specifically to the founder. FreeAppsArcade – An app directory that focuses entirely on the games vertical. There are a lot of different apps to view, so submit yours. Easy App Finder – A directory that helps users find apps in specific categories that aren’t your usual categories, like “dice games” and “fisherman apps” among others. AndroLib – An app directory that focuses on both free and paid Android apps, with ranking and pricing information available up front. AppSpy – One of the more well-done app review sites, this one is quite active and does detailed reviews and price monitoring. AppleNApps – An iOS focused app directory that maintains top 100 lists and daily app lists. Don’t let the trending bar fool you, it’s an active site. BestAppsForKids – An app directory with a very specific focus on apps that are mainly aimed at children, meaning they don’t have in-app purchases, they’re cute and not violent, and they’re child appropriate. AppPicker – An app directory with a very perfunctory blog stapled on, largely aimed at apps that have discounts to make them free. The iMums – Another child-focused app directory run by a handful of moms. App developers are encouraged to submit apps to this Australian blog. 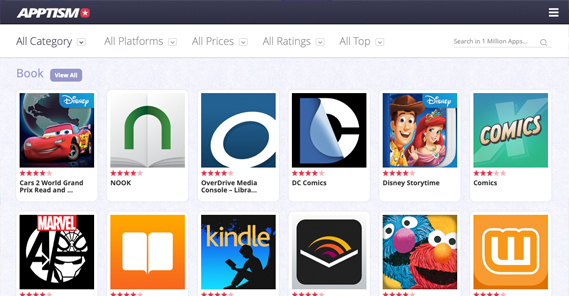 AppsMirror – Another broad-spectrum app review and top list site. You can submit apps to their directory quickly and easily. AlphaDigits – An app directory with a fairly large audience, though it might not look like it at first glance. They tend to write fairly detailed reviews and sometimes tutorials. To take a bit of a break from basic directories, here are a few other kinds of sites you can submit your app to for potential review. These sites tend to have much larger audiences, but also less of a chance to get in if your app isn’t stellar. For many of them, you won’t be able to submit an app directly; submit the release of your app as a tip to their writers. Mashable – The tech section of Mashable often covers apps, though you need to be worth noting in some way to be noticed. Make sure your app is top-tier and submit it as a tip. TechCrunch – TC often covers apps in a wide variety of categories, but again, you need to have a very noteworthy or newsworthy app to be featured in one of their posts. Cult of Mac – As the name would imply, this site covers all things Apple, including iOS apps. If you have a good app you want them to check out, submit it. 9to5 Mac – Another Apple-focused news site that will happily cover iOS apps if you have a good one and get it to them the right way. Wired – Wired is one of the biggest tech sites in the world, and they definitely cover apps, but they require a real good reason to do so. They won’t just publish a press release about your new asset-flip game, you need a good app. LifeHacker – If your app can be used in a life hack, regardless of how upscale or bizarre the life hack may be, you can try submitting it here. They might decide it’s fun enough to pick up and write about. MakeUseOf – This site tends to focus more on apps that can be used for specific purposes, to the point that they publish as many tutorials as they do reviews. If you have a great unique task app, this is a great place to send it. CNet – CNet does app reviews, though they tend to focus on apps with a big presence behind them or otherwise with a good reason to be reviewed. PCMagazine – PC Mag will review apps, though they tend to pass games over to their companion site, PC Gamer. Tech apps are generally more appreciated. VentureBeat – If you have a powerful app or something with a lot of funding behind it, VentureBeat has you covered. They tend to focus on newsworthy apps, but you might be able to slip in with something that’s just really good. GeekWire – You know the drill by now; high end tech site, occasional app reviews, need a good reason to feature them. Worth sending in a tip, at least. Android Central – One of the largest Android-focused blogs out there, you can get some good features about your app by submitting it. PocketGamer – Another game-focused app review and ranking site. This one also has a lot of spin-off sections for news, guides, and reviews, so it’s good to get featured. EuroGamer – Another gaming-focused site, only submit your app here if it’s related to gaming in some way, otherwise they probably won’t give you the time of day. Bonus if you’re a European dev. Mac Rumors – Another of the main Mac-focused blogs out there, they don’t cover every app that comes their way, but they’ll be fairly amenable to iOS only apps. Gizmodo – One of the largest mobile-focused sites out there, there’s a lot of content on the site, but they’ve had a bit of a questionable time of it. You can submit your app and see if they’ll review it. Slashdot – News for nerds, you can submit your app here but be aware that they will be quite unforgiving if you give them something terrible. BoingBoing – A pop culture blog that covers a lot of stuff off the beaten path. You can get good coverage if you’re something atypical in some way. Digital Trends – You can get a lot of good coverage for an app here, though you probably want something that’s cutting edge in some way. Ars Technica – You know it, you love it, another high end blog! Submit your app and if it’s great, they’ll give it some coverage. If not, you’ll probably never hear back. Now let’s round out this post with a few other kinds of app view venues. Primarily, YouTube channels. These channels often review apps, so you can get some coverage if you send a copy to the creator. Be sure to check if they have a specific press email or anything first! Nathaniel Reichert – This guy posts weekly videos covering a variety of app-related topics, from app reviews to how to use a mouse and keyboard with yur mobile device and much more. 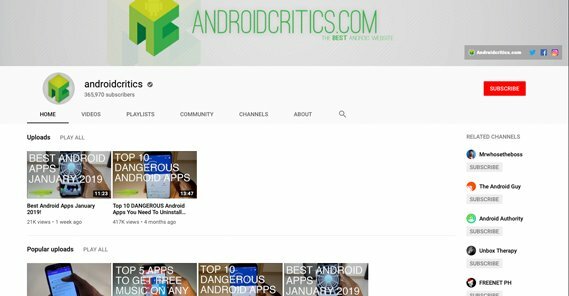 Android Critics – This isn’t a very high-content channel but it does post lists about apps. They aren’t always good reviews – sometimes it’s lists of dangerous apps – but it can be worth submitting. Dave Bennett – Dave is a verified channel where he talks about a lot of different kinds of tech, where apps are just one part of it. iBertz – Another verified channel with over 200K subscribers, he covers an array of different kinds of tech, including the occasional app. Android Authority – The site has its own YouTube channel with three million subscribers. They cover apps as well as Android tech news. Explore Gadgets – Another mobile-focused channel with half a million subscribers. They review apps fairly often. SakiTech – Another mobile channel, this one has half a million subscribers as well. Give it a look and shoot them your app. AppFind – This channel posts weekly videos for your perusal. Some are on hidden features or cool uses of tech, while others review apps. Device Customizer – They only post one video a month on average, but they frequently cover cool apps in lists that do reasonably well. Tech Avenue – A channel that reviews apps and posts top ten lists fairly regularly; worth giving a shot if you have something to contribute. So there you have it; 60 different places you can send your app to maybe get it reviewed or shared in a directory. Is it Bad to Submit Every Website Page to StumbleUpon? What Percentage of Twitter Uses Mobile Devices?